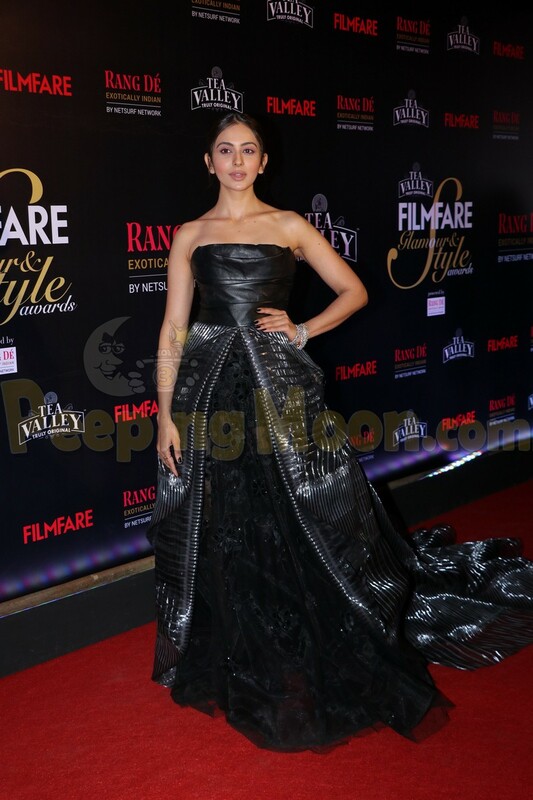 Filmfare Glamour and Style Awards 2019 was hosted on Tuesday night and several Bollywood and television stars attended it. The night was made starry as Rakul Preet, Rhea Chakraborty, Warina Hussain, Saiyami Kher and Richa Chadha graced the red carpet. Rakul looked gorgeous as she made her way to the award night. Rhea was all smiles as she arrived for the event. Richa looked unique in her new avatar as she marked her presence. Warina made a glamorous entry in black. Saiyami looked beautiful as she graced the award night.